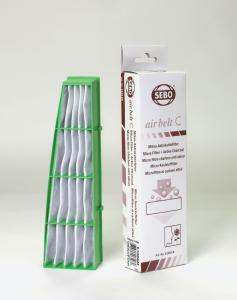 Micro/Odor (Charcoal) Filter for SEBO C-series canister vacuums. - Fits C1, C2, and C3 canister vacuums. Micro/Odor (Charcoal) Filter for SEBO C-series canister vacuums. Fits C1, C2, and C3 canister vacuums.